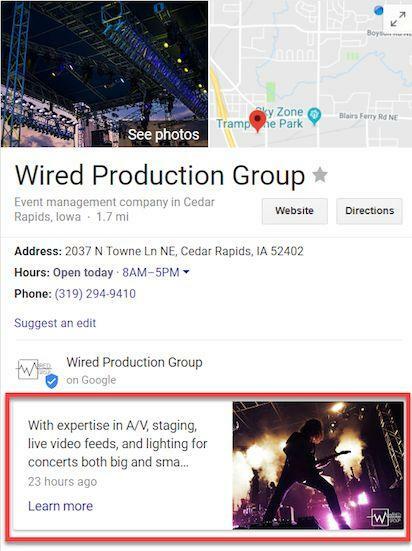 When you’re a small business, it can seem extremely difficult (and sometimes downright impossible) to get your name to the top of the SERPs list. You most likely do not have a huge budget for paid ad space or massive marketing campaigns. Plus, you might not be able to afford a dedicated SEO expert to design your content and optimize your website for the search engines. However, just because your business is small does not mean that SEO isn’t worthwhile. These days, 97% of customers find out about a business/company from an online search. Therefore, you need to be doing all that you can to boost your rankings and increase your visibility. Here are five quick and simple ways to boost your SEO strategies. According to a report from Moz, the velocity, quantity, and diversity of customer reviews for your business make up over 15% of the ranking factors on Google. Mostly, Google looks for external links from review sites to determine the credibility of your website. It also considers whether these reviews are recent and how often your business is publishing feedback. By partnering with third-party review sites and encouraging longer, more detailed reviews with prompts can increase the number of signals you are sending to Google. 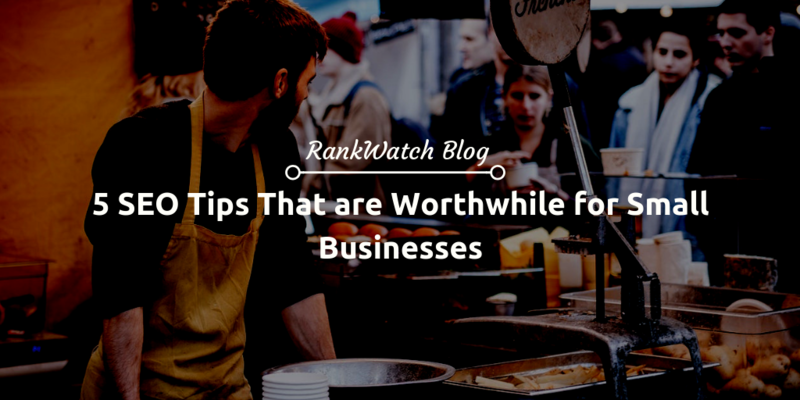 These third-party sites allow for a more detailed, thorough feedback that is chock full of keywords that customers may be searching for as well. 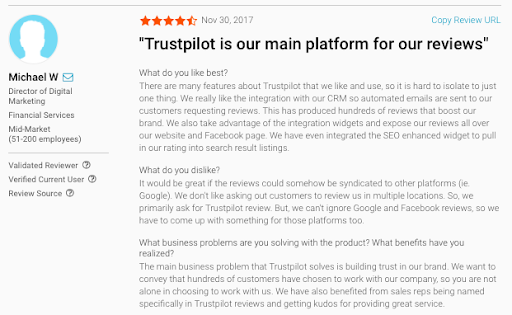 Take Trustpilot’s customer reviews on G2 Crowd as an example. Customers are asked to share the pros and cons of the program, share the benefits they have experienced, and even offer recommendations to other customers. Often while searching online, customers will use phrases like “easy to use” or “best” – a language that is commonly included in customer reviews as well. It is also important that you ask every customer to leave a review, whether it be on your website or others such as Facebook, Yelp, or Google Reviews. The average small business has a total of 39 published reviews online, but the top-ranking search positions tend to have at least 47 reviews. Be sure to encourage every single customer to leave feedback, and consider offering incentives like a discount code or coupon to get the ball rolling. Google My Business is extremely important for small businesses as it provides customers with instant information on what they are looking for. You will need to create a GMB account (don’t worry, it’s free), but you need to make sure that it is updated continuously and displaying the correct information. GMB also pulls data from different sources, such as your business website, third-party providers, and user edits. You can also use your GMB page as a mini social media-like platform by uploading posts, images, or links to your website. This is a great way to promote events, deals or simply featuring your latest blog post. Be sure you regularly check for any submitted questions or suggested edits as well. You can display a public Q&A section, which works similarly to an FAQ page. The more active you are with your GMB, the more information it will provide for customers who are searching for your product or service. Creating an extensive network of external links is a great way to help your brand’s visibility, but building up these links takes time. Doing this is pivotal for small local businesses that need to gain some notoriety in their city or state. Try reaching out to local publications like blogs, newspapers, magazines, or television programs for features. Social media is a great tool to use here because it can create a more collaborative partnership, rather than a one-sided feature. 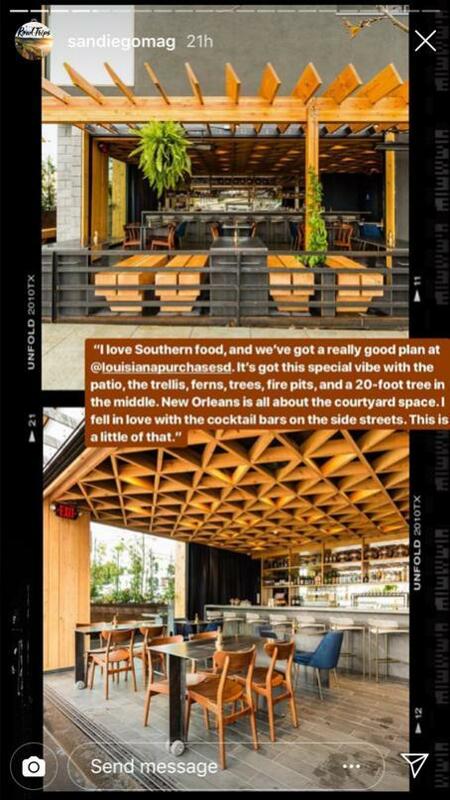 For example, the local San Diego Magazine recently partnered with the new restaurant The Louisiana Purchase for a social media feature. 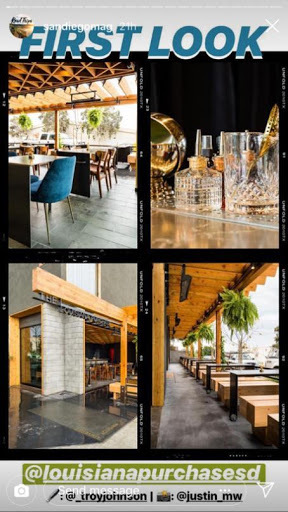 The magazine created a blog-type Instagram story talking about the food and design of the new restaurant to share with their followers. Similarly, the restaurant shared this feature on their social media feeds, giving San Diego Magazine some free advertising to the restaurant’s audience. By expanding your presence to external websites and entities, it boosts your brand’s visibility on the search engines. However, if your business is relatively new or not well-known yet, you may need to make the first move. There’s no doubt that the content on your website is intended to integrate keywords for SEO purposes. However, make sure that the primary goal of this content is to provide your customers with the information they are looking for, not just the right keywords to match up to common searches. Instead, view keyword research as a tool for inspiration for your content topics. Long-tail keywords are a great resource to help get a better idea of the kind of information your customers are searching for. For instance, say that you run a bakery supply company. As you conduct keyword research, you notice that a growing number of searches for baking supplies are including phrases like “gluten-free cake”, “paleo friendly dessert”, or “low sugar sweets.” This signals that your audience is looking for the products that they need to make these kinds of items. 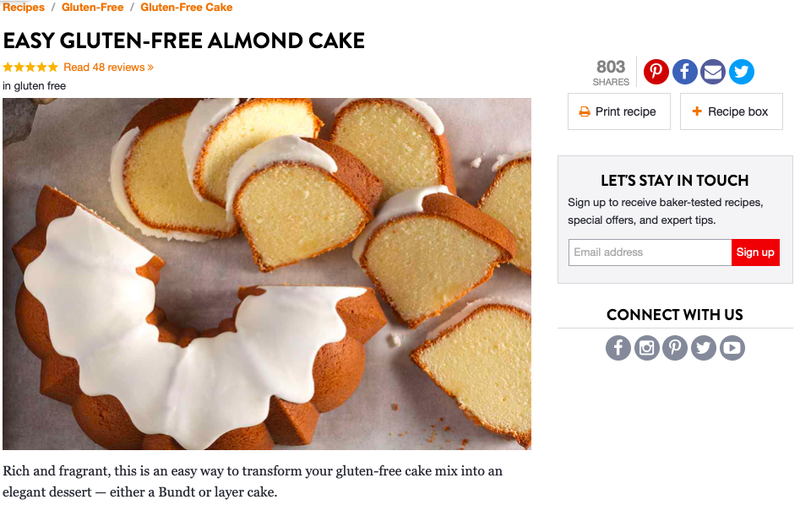 You can use this data to create more recipe posts with gluten-free/paleo-friendly/low sugar options while promoting your products, such as gluten-free flour. In addition to creating a network of external links from other websites, you should also pay attention to the web of internal links that you are building as well. The reason why internal link building can lead to higher search traffic is that it sends a signal to Google that your website is highly functioning and offers relevant information related to a user’s search. In other words, internal linking helps Google understand what your site is all about and how they can use it to provide answers to queries. If a specific page is linked multiple times within your website, it is a sign that it contains relevant information, which can help to increase that page’s ranking. 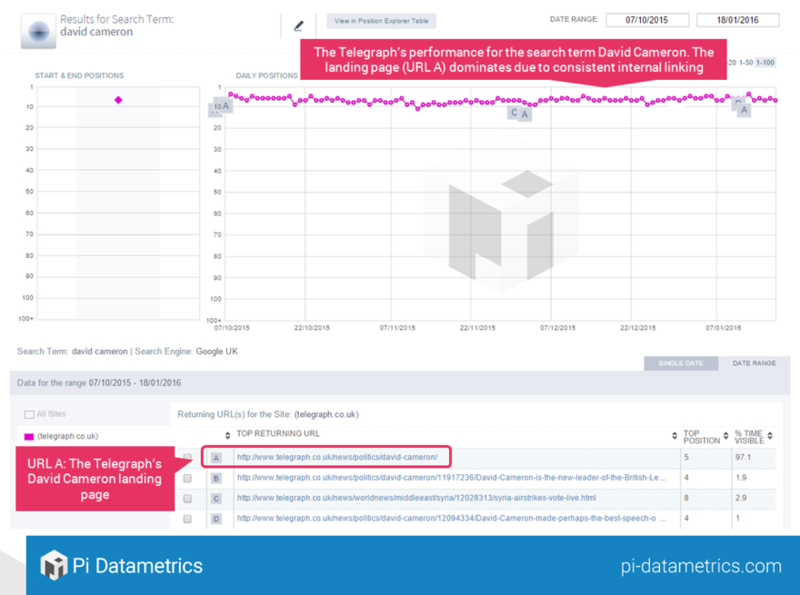 The Daily Mail, a British news outlet, offers a great example of how internal linking can help with SEO. They created a set of hub pages, which were pages that used a specific topic or keyword, such as a person, business, or location. If a story is published on their site containing any of those hub page topics, they are automatically linked. Since using this approach, their traffic numbers for these hub page topics have increased dramatically and helped to keep older articles trending for a longer period of time – thanks to intelligent and strategic linking. Try doing the same with your own content by linking to resource pages within your own website. This can be for different phrases or keywords that are frequently referred to in your content or internal links to other blog posts or products mentioned. Whether your business exists totally on the internet or it has multiple physical locations, your online presence is a critical factor to its success. The majority of customers are finding small businesses through online searches, particularly on the go with their phones, so your company’s SEO strategies need to be on point to capture new audiences. Ankit Panchal is an SEO Analyst and Strategist at E2M - a full-service digital marketing agency based out of India. He's always in search of new link building & content marketing strategies. He makes sure his defined strategies work well for all the clients and is always ready to help anyone in the team.